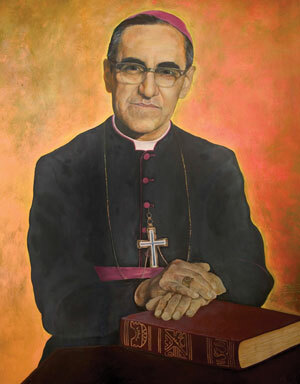 On March 24, 1980, Archbishop Oscar Romero of El Salvador was shot to death by a right-wing death squad while celebrating the Eucharist. Since then, the people of El Salvador and many others from various parts of the world have revered him as a martyr. After more than three decades, Rome has finally officially recognized his martyrdom. He was beatified on May 23, 2015 and will be canonized on October 14, 2018. Why is Oscar Romero honored as a saint? What is the meaning of his martyrdom? Traditionally, the recognition of martyrdom was reserved for those put to death in “odium fidei” or in hatred of the faith during times of persecution. There were times in the past when Christians were hated on account of their faith. They were persecuted for being Christians. Many were given the choice of renouncing their faith and thus save their life or hold on to the faith and lose their life. The focus of martyrdom was their suffering and death which was seen as the consequence of confessing and holding on to their faith. Those who persecuted them were mostly non-Christian rulers who rejected the faith and who were filled with hatred for the Christian faith and those propagating it. This was the case during the first three centuries of Christianity and during the period of missionary expansion in Asia. While the congregation broadened the understanding of odium fidei to justify Romero’s martyrdom, there is a need to explore further the meaning of his martyrdom. This is necessary so that the martyrdom of many others – clergy, religious, lay faithful, members of Basic Ecclesial Communities – who were murdered in El Salvador and in other places in Latin America and the Philippines may be recognized. I propose that in looking at martyrdom there is a need to clarify and deepen the understanding of the faith. Faith is not simply a set of divine truths or Church doctrines that we profess, affirm or hold on to. This faith is not only expressed through the celebration of the sacraments and devotion to the saints. It is also shown by giving witness to the faith through acts of love, justice, mercy and compassion. The love of one’s neighbor especially the poor and the oppressed is a concrete expression of this faith. This is the faith that does justice. This is the faith expressed in liberating praxis. This is the kind of faith that Archbishop Oscar Romero and the Church of El Salvador tried to live. This kind of faith was considered subversive – a threat to National Security. The persecution in El Salvador and the martyrdom of Oscar Romero and others can be seen from this perspective – in hatred of a faith that is integral and liberating. There is another framework for understanding Romero’s martyrdom that goes beyond odium fidei. We can use the framework of Vatican II – the so-called Triplex Munus. The prophetic, kingly/pastoral and priestly mission of Christ, the Church, the clergy and the lay-faithful. Like Jesus, the cross – martyrdom – is the consequence and expression of faithfully carrying out the three-fold mission within a hostile environment. The martyrdom of Romero may be seen as the consequence of exercising his prophetic mission. Romero denounced the sinful situation in his country perpetuated by those who monopolized wealth and power. He became the voice of the voiceless. He denounced the oppression of the people especially the poor, the injustices, the poverty, inequality, the spiral of violence, the idolatry of the National Security ideology. He called people to conversion – especially those who were responsible for the social evils. He also preached the Good News of the kingdom – of liberation, of justice and peace to all especially to the poor. Romero gave hope to those who found themselves in a helpless and intolerable situation. The martyrdom of Romero can also be regarded as the consequence and the ultimate expression of his loving service as the pastor, the good shepherd of the flock, who came not to be served but to serve and to give his life as ransom for many. He was the shepherd who had the smell of the sheep. He ministered to them – especially to the poor who were the majority. He did not run away upon seeing his flock being attacked by wolves – the forces of the repressive regime. His martyrdom at the hands of the death squads while celebrating the Eucharist can be regarded as the ultimate expression of his priesthood. He did not only offer the body and blood of the risen Christ on the altar, he also offered his own body and blood in memory of Him who died on the cross and rose from the dead. He sacrificed his own life following the example of Christ. This is what priesthood ultimately means.